Cut out 2 pairs of pocket bag pieces. 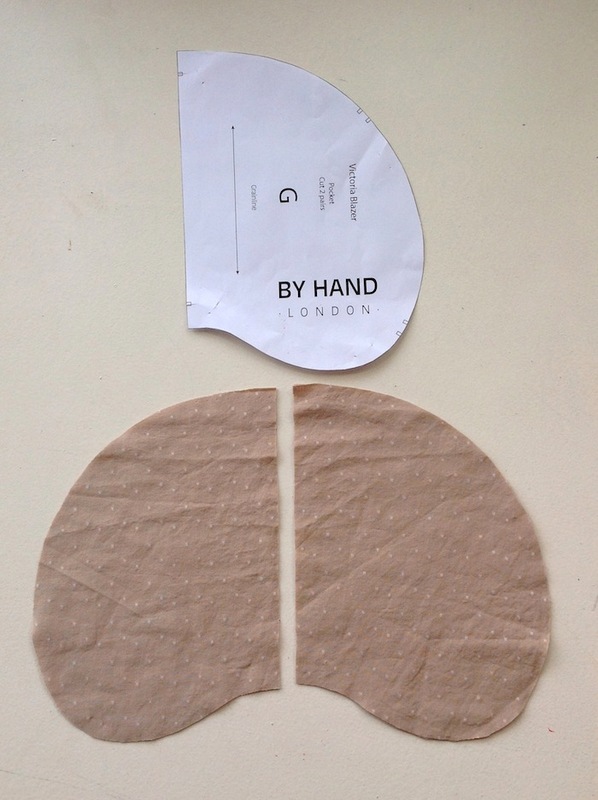 You can either use a pocket pattern piece from another pattern, or simply draft one yourself - copy the shape below, making sure it's big enough to get your hand in, plus extra all round for the seam allowance! Snip a little notch into the side seam of your main fabric (on each side of your front and back pieces) to mark the top of where your pocket will sit. On this high waisted skirt shown, we have snipped the notch about 5 1/2" down from the waistline. 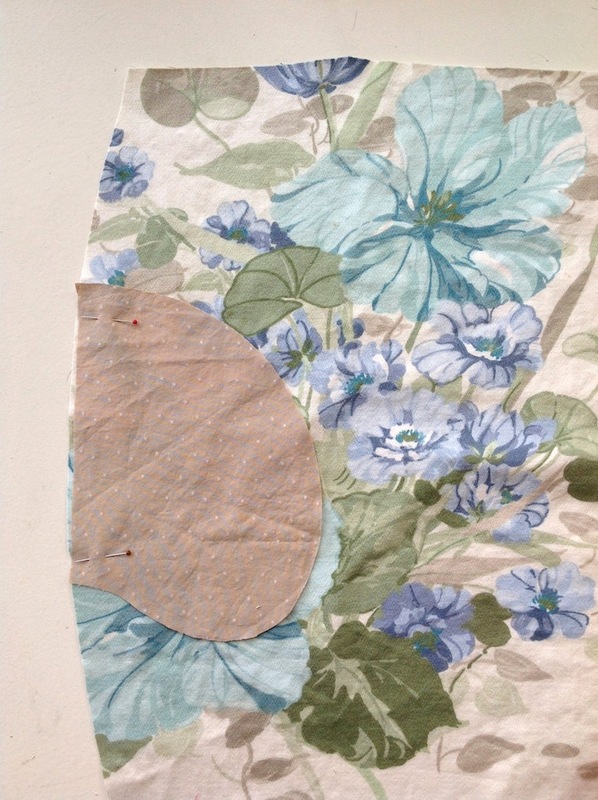 Using the image below as a guide, take one of your pocket bag pieces and lay it, right sides together, onto your skirt front piece (or jacket piece or whatever you are adding pockets to! ), aligning the top of the pocket piece with the notch you just snipped. Pin into place. Repeat this on the other side, and on both sides of the skirt back piece. 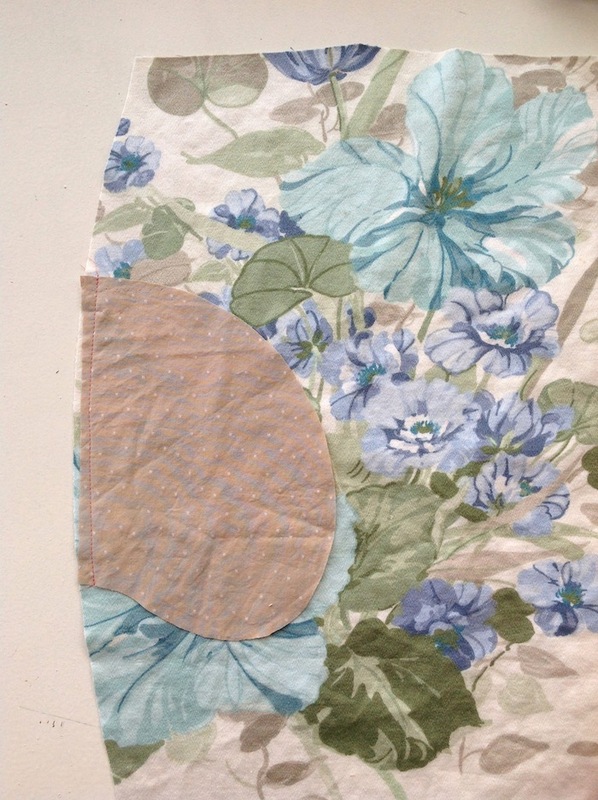 Stitch the pocket pieces into place with a 3/8" seam allowance. 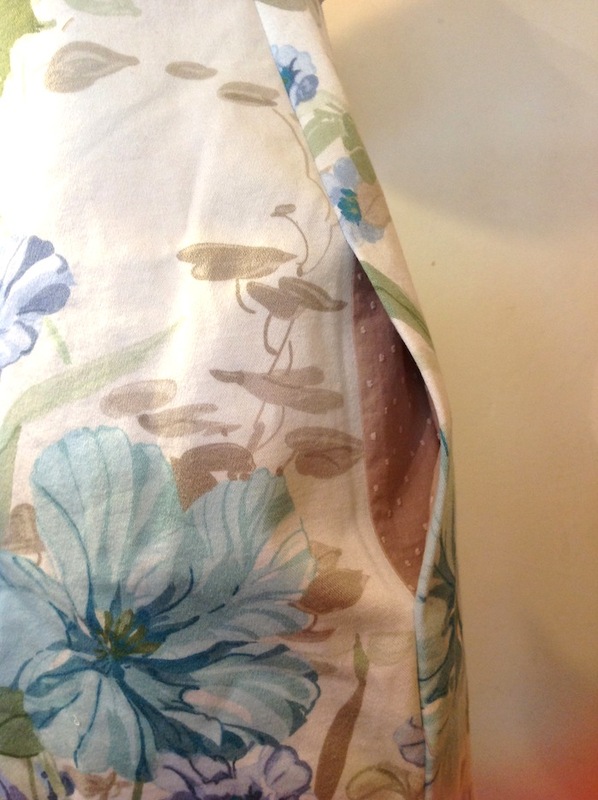 This is so that when we close the side seams, the pockets will sit slightly inside, for a more discreet finish. Now place the skirt back pieces onto your front piece, right sides together, and pin down the side seams and all around the pockets pieces. 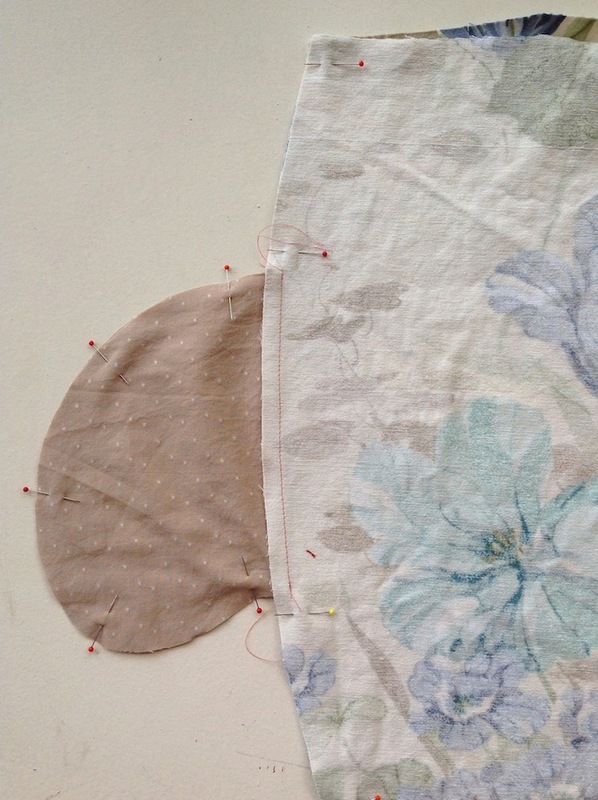 Close the side seams as normal, pivoting when you get to the top of the pocket, stitching the two pocket pieces together, then continuing down the rest of the side seam, using the image below as a guide. Super easy no? And this is a technique that can not only be applied to any skirt/dress/jacket/trousers etc that you're making (provided it has a side seam! 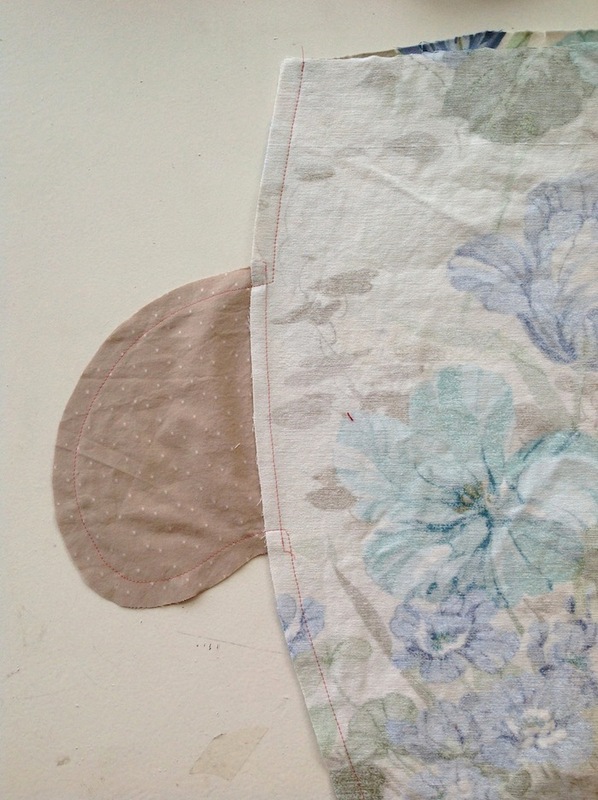 ), but you could even add side seam pockets to any existing garments simply by unpicking the side seams and following the instructions above - just think of all those vintage dresses in your wardrobe that would benefit massively from the addition of pockets! Thanks for such beautifully clear instructions with excellent illustrations. Very helpful! Thank you so much – a nice clear, simple tutorial that makes sense of the pattern I am trying to make.. Very simple&clear tutorial i have seen. Congratilation. I’m teaching myself to sew and this was the perfect! Thank you! Thank you so much. I am making a dummy run of a skirt that I love. Now need to add the waist. I agree that the slightly-smaller seam allowance looks nice and isn’t covered in the Big 4 pattern instructions. Nice tip! Thanks! what a straightforward lesson!. pls keep it up. 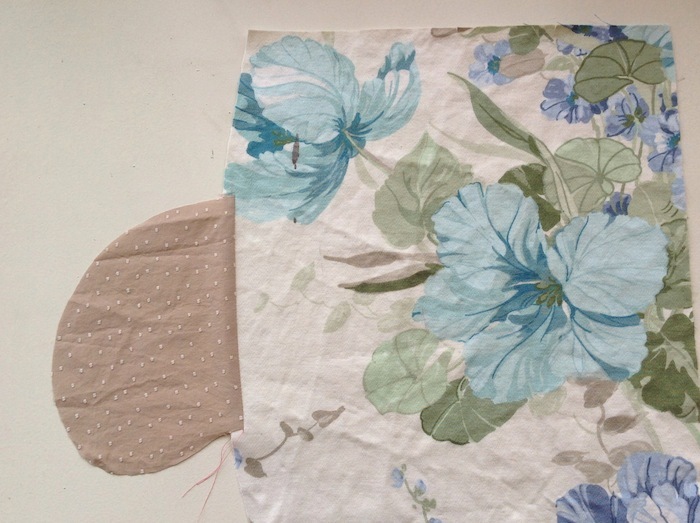 Hi sorry I realise this isn’t a recent post but I’m wondering if ts suitable to do inseam pockets in a lines dress? And how would this work would you you jut do the same as the outer and have two layers to the pockets or just the lini g and some how attach in the outer edges? Thank you for this!! Definitely bookmarking. Oh wow thanks!!! SO glad to hear such a wonderful compliment!! We’ll be sure to keep em coming! I thought this seemed fairly straightforward, but I like the tip of using a smaller seam allowance so the pocket sits slightly inside. Never thought of that before. Really need to get myself organised and get started on this sewalong! This is the most amazing website I’ve come across in months. Thank you so much for all of your brilliant tutorials. This will spice up my sewing and blogging considerably!